Today we are taking a look back at the May 2017 Our Daily Bread Designs Release! As we approach the end of the school year, teachers of all types as well as bus drivers give so much to their students and have such an influence- now is the time to show appreciation to them! 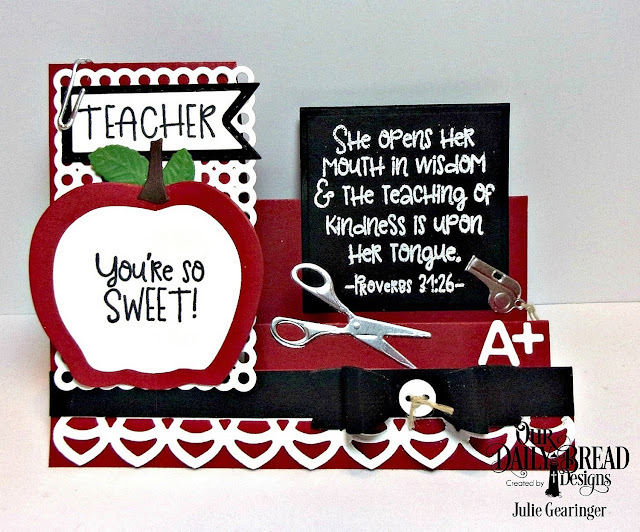 I just love how this ODBD release has stamps and dies that are perfect for creating projects for showing our thankfulness to these faithful teachers and bus drivers! I chose to create a step card using the Seeds of Knowledge stamp set along with the Clipboard Die Set, A+ Apple Dies and the previously released Custom Dies- Side Step Card, Circle Scalloped Rectangles, Deco Border, Pennant Flags, Double Stitched Pennant Flags, Squares, Small Bow and Sewing Set. 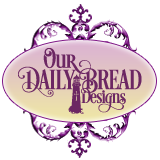 We hope that you will take the time to hop along with us - my “Sisters” on the ODBD Design Team, affectionately known as the “Bread Sticks”, are showcasing a variety of ideas and their projects are so inspirational!! I will also be linking this card to the Word Art Wednesday #282-#283 "Anything Goes" Challenge. Thanks again for taking the time to stop by- hugs and I hope you have a blessed week!